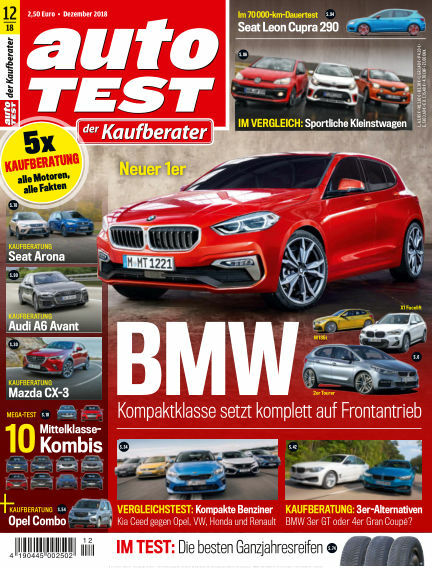 In this issue of AUTO TEST : Unabhängige Tests und Kaufberatungen aller gängigen Marken und Modelle werden durch die Experten der Redaktion von AUTO TEST - der Kaufberater abgedeckt. With Readly you can read AUTO TEST (issue NR.012 2018) and thousands of other magazines on your tablet and smartphone. Get access to all with just one subscription. New releases and back issues – all included.